It is a mistake, argues Anthony Giddens, to see the misfortunes of the euro as the sole source of Europe’s malaise. The Union faces problems shared by most or all of the developed states of the world. Reform in Europe must go far beyond stabilizing the euro, formidable and fraught though that task may be. Introducing an array of new ideas, Giddens suggests this is the time for a far-reaching rethink of the European project as a whole. 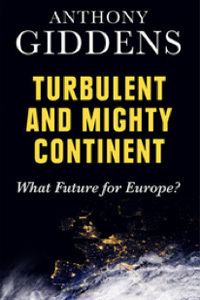 Anthony Giddens was educated at the University of Hull and the London School of Economics. At the LSE, he wrote a dissertation on ‘Sport and Society in Contemporary Britain’. He has taught at the University of Leicester and subsequently at Cambridge, where he was Professor of Sociology. From 1997 to 2003 he was Director of the LSE. He is currently a Life Fellow of King’s College, Cambridge. He was made a Life Peer in May 2004. He has honorary degrees from 15 universities. He is a Fellow of the American Academy of Science and the Chinese Academy of Social Sciences. He was the BBC Reith Lecturer in 1999. His books have been translated into some forty languages. He has sat on the board of various public organisations, including the Institute of Public Policy Research. Anthony Giddens was born in Edmonton, North London. He was the first member of his family to go to college. He remains a dedicated supporter of his local football team, Tottenham Hotspur..